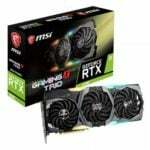 GeForce RTX graphics cards are the world’s fastest, giving gamers the performance to enjoy the latest and greatest games at stunning levels of detail. 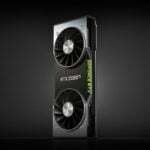 On January 15th, the $349 GeForce RTX 2060 will deliver advanced ray tracing and AI features, plus levels of performance previously available only in high-end gaming GPUs, at a price point within reach of PC gamers worldwide. Delivering max-setting 60+ FPS gaming at 1920×1080, and excellent high-setting performance at 2560×1440, the RTX 2060 offers an in-game experience that beats the GTX 1070 Ti and is on average 60% faster than the prior-generation GTX 1060. Furthermore, the RTX 2060 features the same AI and Ray Tracing technology as the RTX 2080 Ti, 2080 and 2070, enabling RTX 2060 owners to enjoy Battlefield_TM _V at 60 frames per second, with amazing real-time ray-tracing effects enabled. 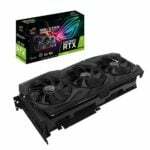 The GeForce RTX 2060 features 1,920 CUDA cores, 240 Tensor Cores that can deliver 52 teraflops of deep learning horsepower, 30 RT Cores that can cast 5 gigarays a second, 6 GB of the newest GDDR6 memory running at 14 Gbps, and a GPU boost clock of 1.68 GHz. Furthermore, users can significantly boost their GPU performance with manual overclocking (up to 2 GHz was achieved in our labs), or use NVIDIA’s one-click OC Scanner technology in custom tools such as EVGA Precision XOC and MSI Afterburner to get rock-solid overclocks. 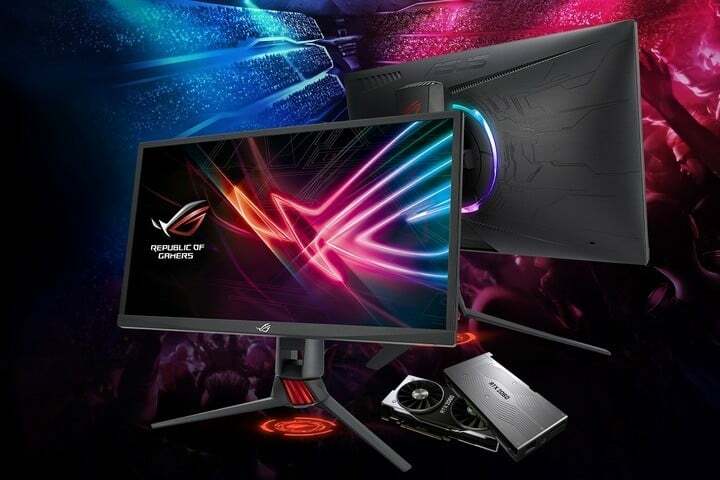 ROG Strix XG248Q’s astonishing 240Hz native refresh rate makes it twice as fast as conventional 120Hz monitors. You’ll experience amazingly fluid gaming visuals, giving you the upper hand in first-person shooters, racing, real-time strategy and sports titles. It’s all action and no breaks! ROG Strix XG248Q has been certified as G-SYNC Compatible, delivering a seamless, tear-free gaming experience by enabling VRR by default on NVIDIA GeForce GTX 10-Series and NVIDIA GeForce RTX 20-Series graphics cards.